Ada von Hasenberg has been on the run for two years. What is she’s running from, you ask? Her family—most notably her controlling father. Why? House von Hasenberg is one of three ruling Houses within the Royal Consortium, powerful families that rule the galaxy. Ada is the fifth in line which means—in her father’s view—her one asset lies in which House she could be married into that would yield the most benefits for House von Hasenberg. Suffice it to day, Ada is not here for that, so she ran away from an engagement before it could happen. To get her back, her father has put out a bounty for her return. As Polaris Rising opens, Ada has just been captured and expects to arrive home any day. 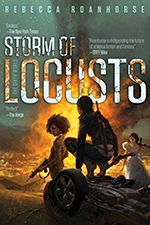 That is, until she strikes a deal with her fellow detainee, Marcus Loch—known as the Devil of Fornax Zero who notoriously killed his commanding officers during a rebellion on, you guessed it, Fornax Zero. 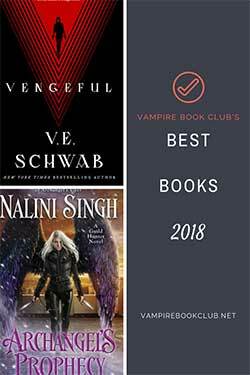 As they help each other escape, they both are drawn into the rising tensions between the Houses and discover some secrets that could profoundly change the Consortium. Ada is a heroine in the vein of my favorite heroines in that she’s strong-willed, daring, independent, not the type of person you want to dismiss because they always have a plan going even if it’s dangerous to their well-being. And for all that she grew up privileged and oftentimes likes the finer things in life, she still thinks of others and tries to do right by them. Jessie Mihalik gives Ada the right mix of fight and vulnerability. She’s a character that’s easy to like and root for. I loved the slow buildup between Loch and Ada. Their tentative partnership is tested numerous times as they start out as somewhat-willing partners whose trust is tested as they have to rely on one another since they’re on the run from multiple factions. Their relationship progresses to so much more over the course of the book as that trust is built. The attraction is there from the beginning, and it burns hot. Part of me wishes we got Loch’s point of view on a few occasions because, by the end, he still has a lot of mystery to him that will be difficult to decipher as it seems this series will follow a different couple with each new book. Family obviously plays a big part in Polaris Rising and it’s also one of my, many, favorite aspects. I love that despite their father’s intentions, the von Hasenberg siblings seem to be a close-knit group. I only say “seems to” because we haven’t met all of them, yet, but the way Ada talks about them and the interactions with the couple we do meet speak of a bond that’s closer than political allies and powerful gain. Since it appears as though each book will have a different couple at the forefront of the story, while House tensions and potential war runs throughout, I look forward to meeting and learning more about the von Hasenberg’s. I know it’s relatively early in the New Year still, but Polaris Rising was a wonderful read that makes me excited for what is still to come. I hadn’t heard about this book before but it sounds very exciting and I love books that centre a lot on family so I might have to check this one out sometime! I love that we’re seeing an uptick in sci-fi romance. 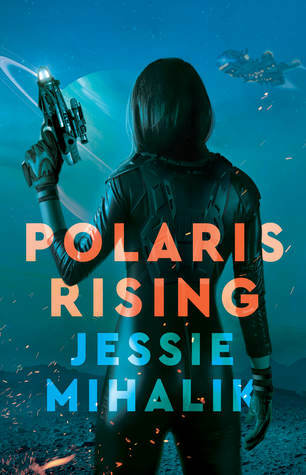 I adored Amanda Bouchet’s NIGHTCHASER, and now POLARIS RISING is bringing the fab, space-y sexiness and I’m here for it.